Lots of kid-friendly games are coming soon. June is an exciting time for video game fans, as each June marks the return of the Electronic Entertainment Expo (E3) to Los Angeles. Video game developers and publishers use E3 as an opportunity to show off the new games they’re working on, and Nintendo is no exception. This year, Nintendo showed off plenty of family-friendly games you and your kids can enjoy on Nintendo Switch. Here’s a look at some of them. The next entry in the popular Mario Party series will let up to four players compete in 80 mini-games using the Switch’s Joy-Con controllers. 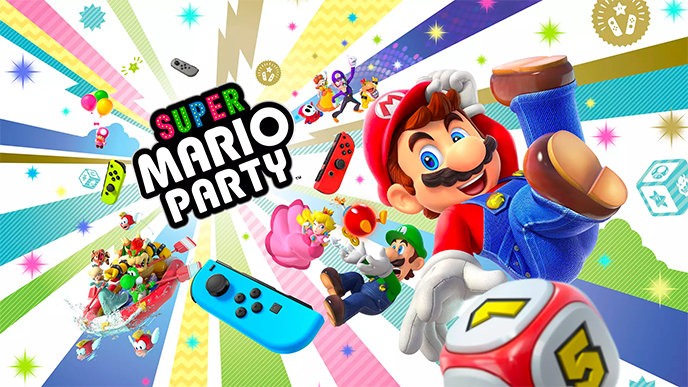 Super Mario Party will include the traditional Mario Party mode, which lets players compete in mini-games in order to collect Stars as they make their way around a virtual game board. A separate Toad’s Rec Room mode will let users pair up two Nintendo Switch systems to compete in special games. Super Mario Party will release on October 5. The Fire Emblem series features turn-based tactical gameplay for teens and adults. In this next installment in the series, players will follow three main characters -- Edelgard, Dimitri, and Claude -- who each play an important role in the story. During each strategic battle, players will move their units around a grid-based battlefield to compete again enemy units. This time around, each individual unit will be supported by troop formations during battle. Fire Emblem: Three Houses is expected to launch in spring 2019. The first Overcooked launched on PlayStation 4, Xbox One, and PC in 2016, before making its way to Switch last year. The cooperative cooking game challenges players to work together to cook dishes in wacky environments, like the deck of a ship being tossed by the waves and the inside of a volcano. Overcooked 2 will feature more multiplayer cooking chaos, including new kitchens, recipes, and characters. The game will let up to four players team up to cook either in the same room or through online play. Overcooked 2 will launch on Switch August 7. The Super Smash Bros. games are super popular with both teens and adults, as they bring together characters from Nintendo’s games and other series (like Mega Man and Sonic) to do battle in intense environments. Super Smash Bros. Ultimate is the next game in the series, set to release on Switch on December 7. The game will include every fighter from every Super Smash Bros. game ever released, as well as a few new options: Daisy from the Super Mario series, Inkling from the Splatoon series, and Ridley from the Metroid series.